From our collection of guitar stickers and heavy metal stickers is this cool and creative design. 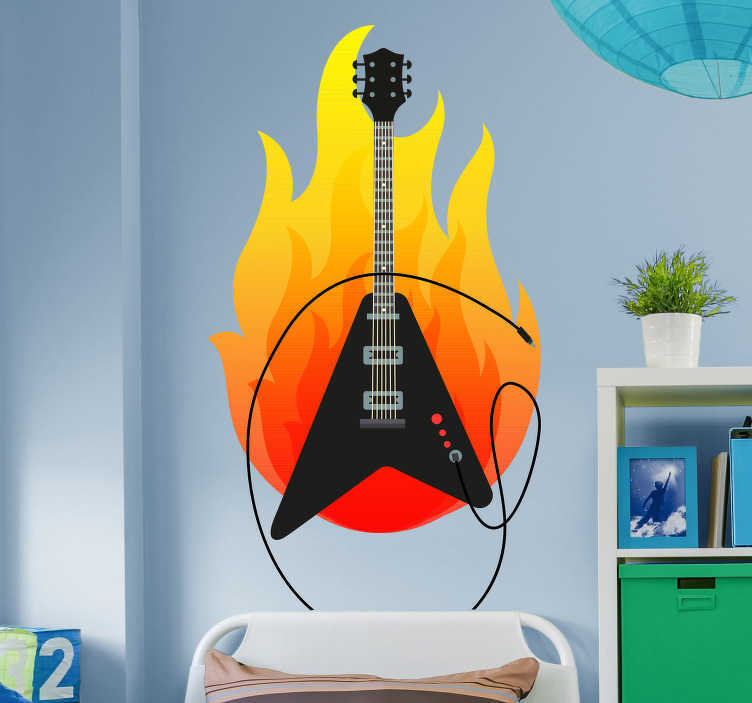 The guitar decal shows an electric guitar with a flame behind it. If you or your child love rock and roll music, then this design is for you! Bring a rock concert straight to your home or your kid´s bedroom. Our music wall stickers are easy to apply and leave no residue on removal.